Lego's always been hard at work with their Star Wars line of models. The latest of which will probably bring your wallet to it's knees if the usual price is any indication for these things. 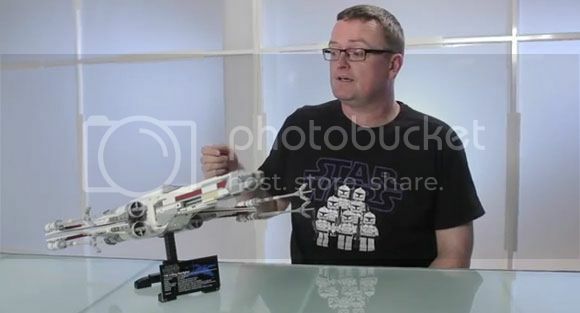 The Red Five X-Wing Starfighter or more commonly known as "Luke's fighter jet" is making it's Lego debut with all the details you can expect from the great guys over at Lego. I'm really not much of a Star Wars geek but I'm pretty sure fans out there will be glad to know that it's close to the same thing they used on the movie. Now if only it had those lasers that can bring down a Death Star. There's a video after the break if you're still interested.